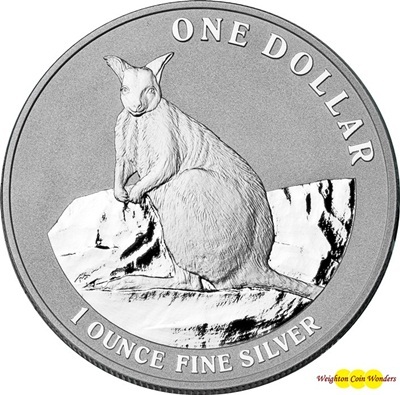 The Australian 2012 1oz SILVER KANGAROO coin is issued by the Royal Australian Mint in Australia and is stuck to high standard and finish. The coin contains 1oz of 99.9% fineness Silver with a frosted finish, and is housed in a protective capsule to keep it’s proof like quality (See Photo). The Royal Australian Mint Kangaroo series coins are now classed as a pure collectors coin, and not just bought for the bullion content. They are dificult to get hold of if wanting to compile a full date collection and hence warrant an additional premium.